It seems that every day, I read a post on social media lamenting the weaknesses and shortcomings of the next generation. They feel entitled. They need to be coddled. They’re slackers. We’re doomed. I don’t believe it, and neither should you. We live in a world of constant connectivity with a 24-hour news cycle. Media outlets are desperate to get our attention, in hopes that we’ll tune to their cable channel or click a story on their website. Stories about irresponsible, maladjusted young adults committing crimes or other bad acts provide excellent fodder for their content. These articles get shared on social media, and end up being how we define a generation. In reality, these characters represent a small fraction of the population. They just get more press. Interestingly, the same people who’ll post links to the depressing news stories, are the ones who will post beautiful pictures of their children, grandchildren or other family members. Along with the photo will be a blurb about the wonderful things the young person has accomplished, and their plans for the future. Are these “good kids” the exception? Or are they the rule? Let me use a few members of my own family as an example. 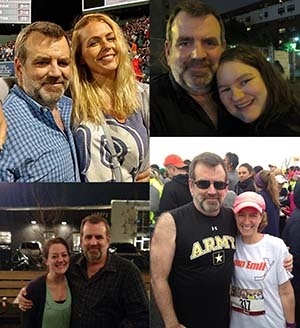 My niece Karen, while training to run half-marathons, completed her Doctor of Physical Therapy, works a full-time job and raises two children. Her cousin, my niece Megin, not only has a job, a YouTube channel, and a fledging charity to provide diapers to poor mothers, she volunteers to pick up unsold bread at city bakeries and bring it to homeless shelters. Colleen, my niece who’s a schoolteacher in Nashville, is developing new curricula to help prepare first-graders for the brave new world they face in the 21st century. Another schoolteacher, my niece Danielle works at a public school in Brooklyn, where her remarkable language skills help not just her students, but the parents who want to help their children succeed in school. Entitled? Coddled? Slackers? No, no, and heck no. These young women, along with their many cousins, are the people I think about when I think about the next generation. Add to their ranks the children of my friends who are in the military, or law enforcement, or helping the poor, or taking care of the elderly, or teaching children with special needs. The list goes on. Take a look at your family and friends. You’ll see similar actions and stories. Then create your own list of individuals you’re proud to know. There are a lot of impressive young people who are leading inspiring lives.